1. Stop using sulfate Shampoos and Conditioners. - Sulfates are not good for your hair. They strip your hair of its natural oils and then it becomes dry and brittle. There's plenty of sulfate free shampoos and conditioners. So you do not have to worry about dropping your favorite brands. One brand that definitely has sulfate free stuff is L'Oreal! 2. This tip has two parts! Wash your hair with warm water/ rinse with cold. -While washing your hair, use warm water not hot. 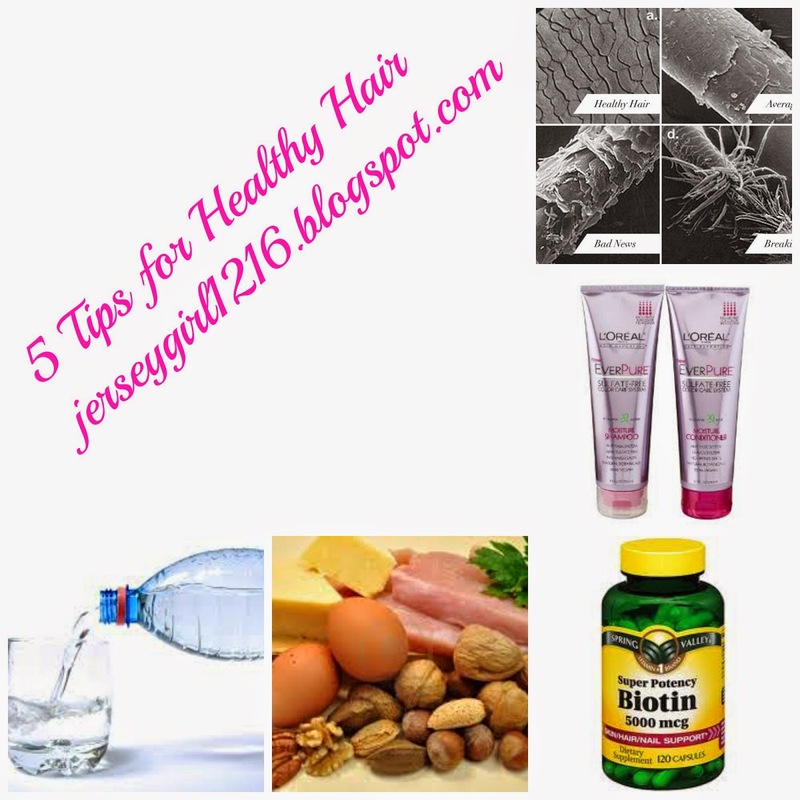 Using hot warm can be damaging and unhealthy for your hair. It causes split ends and on top of that makes your hair very frizzy. No one likes frizzy hair, especially me. When rinsing your hair for the final time, use cold water. This will lock in the moisture. cheese, eggs, whole grains, fish (ex: salmon), and nuts (ex: almonds). -Drinking water is an important factor in staying healthy in general. But it's also important for your hair. Water stimulates hair growth. You drink water and you wash your hair with water, so water is important! I hope you enjoyed reading! What healthy tips do you have? Great post! Thanks for sharing these tips!